2. 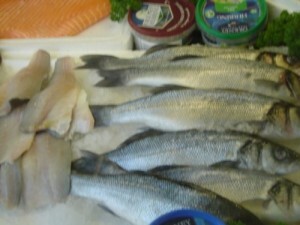 Add sea bass, butter, onions, parsley, dill weed, onions, chives, garlic, lemon juice, salt and pepper to a dish. 3. Cook for 20 to 25 minutes. Fish should be lightly browned and flaky. Sea bass is rich in omega 3 and also has vitamins A, D, B6 and B12 and will likely become one of your very favorite meals!